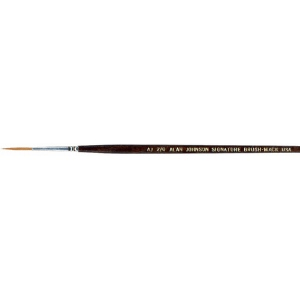 * This is the very special brush that veteran pinstriper Alan Johnson uses to sign his panels. * Made with a special taklon with extra long length. * Also great for fine detail work! * Now Available in 3 Sizes!